Cotswold Line train operator GWR is extending penalty fares for passengers found travelling without tickets to apply to journeys made from the stations on the route that are staffed, or have ticket machines, from Monday, April 1. This change means that passengers who join trains at Evesham, Moreton-in-Marsh, Kingham, Charlbury and Hanborough must have bought a ticket before travelling, unless the booking office is closed and the ticket machine, if one is provided, is not working. GWR staff receive updates about any that are faulty. 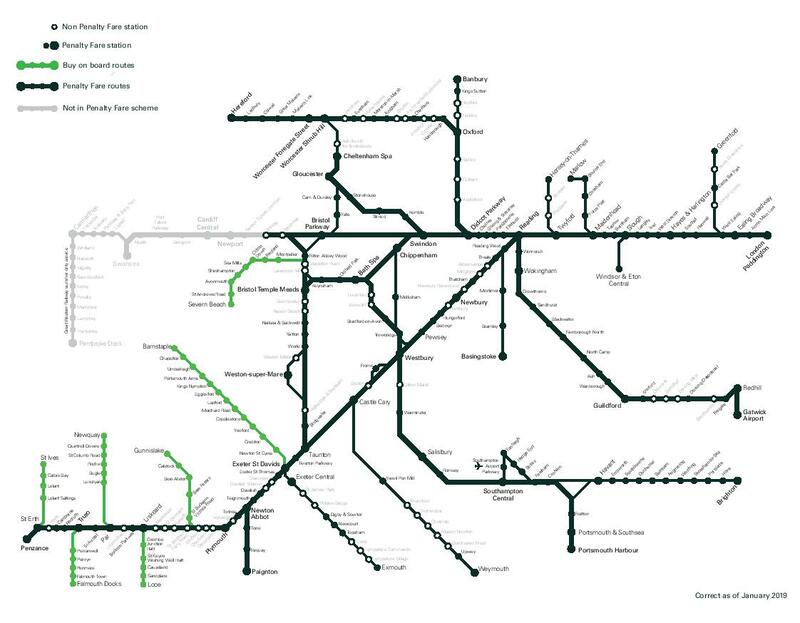 Penalty fares will also apply to all journeys made by people found travelling without tickets on GWR trains from the stations between Hereford and Worcester Shrub Hill, which are managed by West Midland Railway. Passengers travelling from Pershore, Honeybourne, Shipton, Ascott-under-Wychwood, Finstock and Combe will still be able to buy tickets on board trains from GWR train managers and ticket examiners. A Penalty Fare is twice the full single fare to the next station, or at least £20, whichever is the greater. Passengers will also have to pay the full single fare for the rest of their journey if they want to stay on the train to their destination. GWR says the penalty fare scheme is needed to encourage passengers to buy tickets before travelling, to help to reduce the number of people who do not pay, which is the interests of both the company and the overwhelming majority of passengers, who do pay their fares. Passengers travelling without a ticket can also face prosecution, depending on the circumstances. Click here for more information about GWR's buy before you board and revenue protection policies and penalty fares.